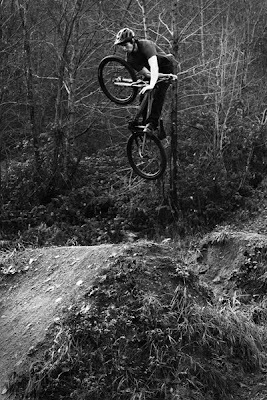 Well both Kyles are gone so me and Curtis today decided to go actually ride our hardtails. 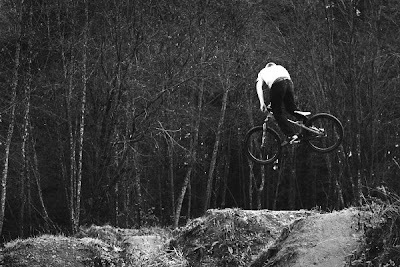 We went to the local bike park and rode the jumps there and snapped a few photos. The colors were grose so they got the B&W look. It was a mellow sesh. 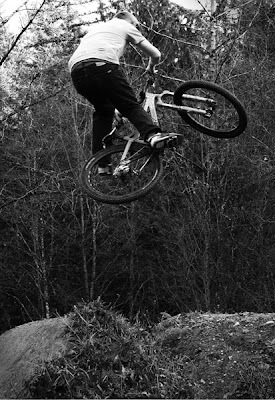 This is sprokids bike park. 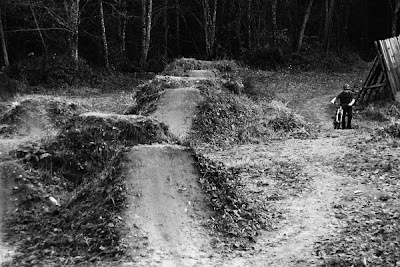 The cap collage mountian bike program re-did the park last season and its really sick. Its within walking distance form the Langdale ferry, its woth checking out. They also have a pretty awesome network of mellow XC trails, And a freeride trail.